Everywhere you look in October, in real life and online, you see pink. 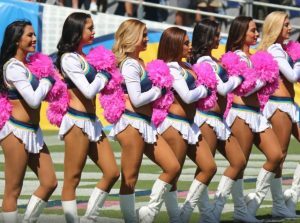 Clothing, cosmetics, car accessories, food, kitchen appliances and even the NFL all come in pink this month to raise awareness for breast cancer screening and research. And no matter how tenuous the connection, all this pink helps remind people that when more than 40,000 women die each year in the U.S. from this disease, we are all affected. Caretakers, loved ones and home care aides know that self-exams, early screening, and early intervention are the best ways to stay ahead of the risk of breast cancer. Every year in America, more than 200,000 mothers, sisters, daughters and grandmothers are diagnosed with breast cancer. Despite great advances in detection and treatment over the last decades, more than 40,000 women still die every year from this disease. Women over 50 are most likely to develop breast cancer, but nearly 10% of new cases each year are found in women under 45, and about 1% of cases occur in men. So no one is immune to this disease, not when 12.4% of all U.S. women will be diagnosed during their lifetime. Gene testing offers options that women never had before, as in the famous example of Angelina Jolie, who chose double mastectomy surgery as a preventative measure at age 37. When she was tested for and found to have the BRCA1/2 mutation, she then chose surgery to avoid what doctors said was an 87% chance of developing breast cancer herself. Women have many options now that their mothers and grandmothers didn’t, and with their doctors can chose medication, radiation, double and single mastectomy, lumpectomy, chemotherapy – or combinations of some or all treatments. In 1975 the odds of surviving a breast cancer diagnosis for five years was 75% – and through 2012, that rate is now over 90%. The fight against breast cancer starts with awareness, screening, and early detection, and Breast Cancer Awareness Month is just one way for caregivers, loved ones, grandmothers, mothers, sisters and daughters to support one another in the fight.